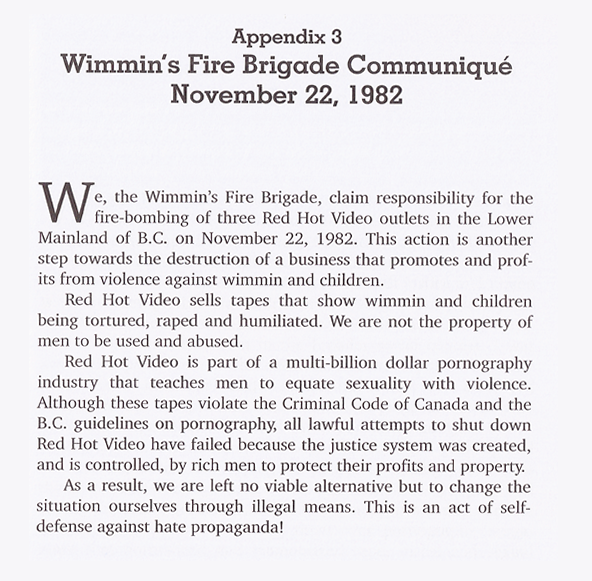 The Wimmin’s Fire Brigade | RANCOM! The manifesto above is from Ann Hansen’s Direct Action: Memoirs Of An Urban Guerrilla, and the description below is also Ann appearing in 13 Women: Parables from Prison. Below are a few more articles about the Wimmin’s Fire Brigade. 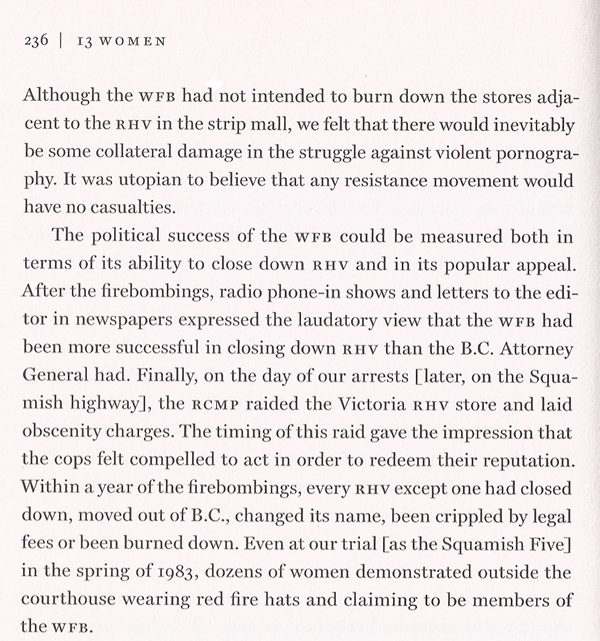 This entry was posted in Anarchism, arson, Feminism and tagged anarchism, direct acton, feminism, Wimmin's Fire Brigade. Bookmark the permalink.